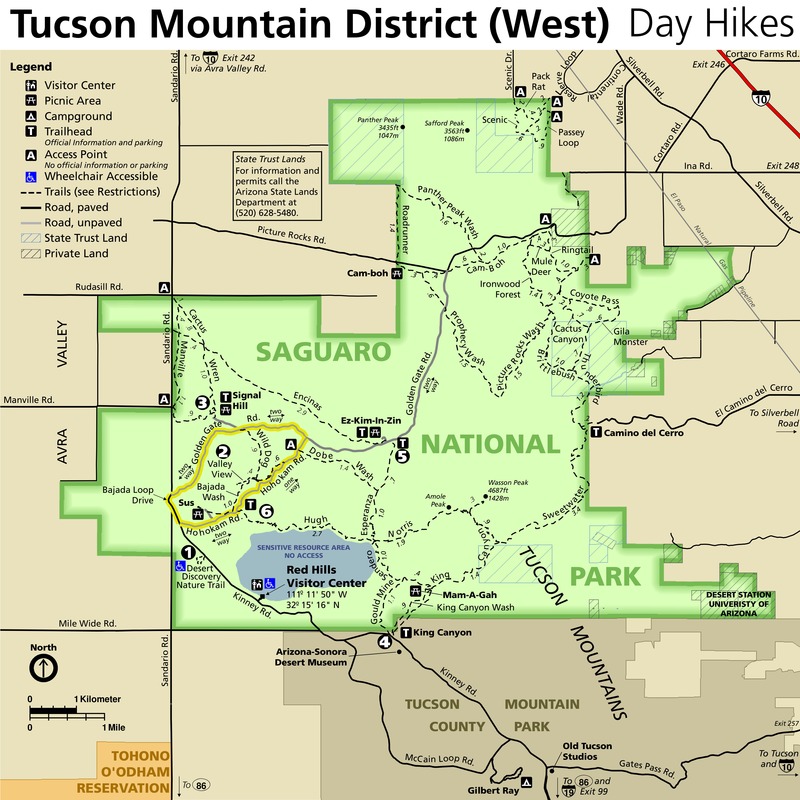 This trail provides an access route into the eastern portion of the Saguaro National Park. 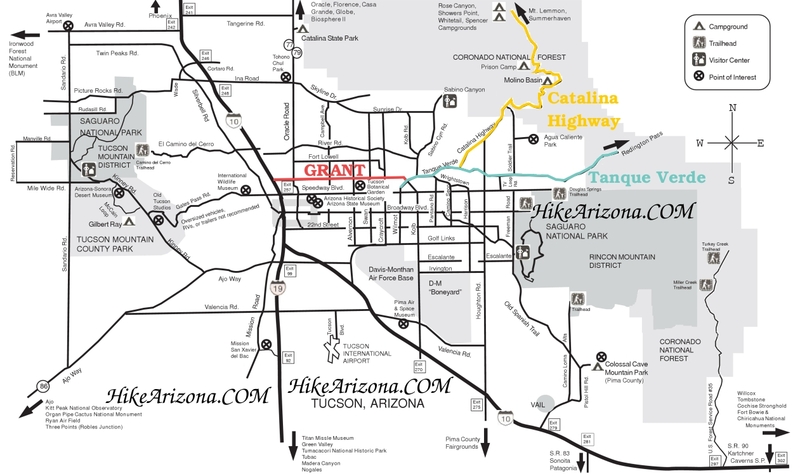 It is part of the Arizona Trail, a system of trails that spans the entire state from north to south. 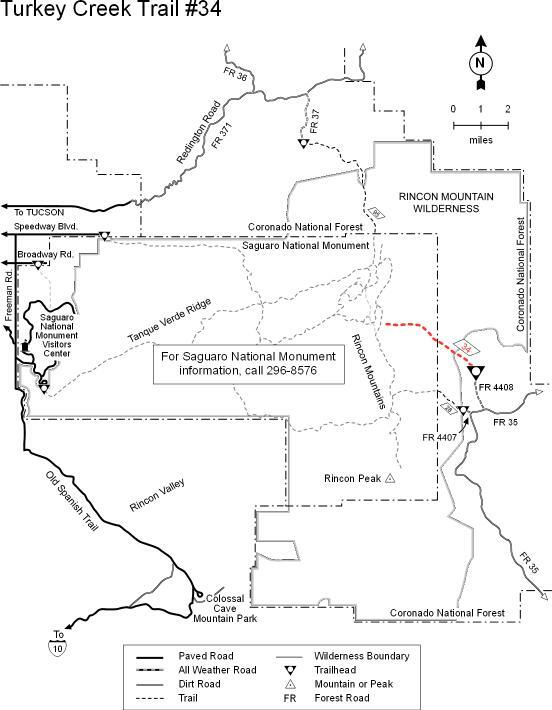 The portion of the Turkey Creek Trail which is in the Coronado National Forest follows a ridge that separates Turkey Creek and Mesquite canyons. 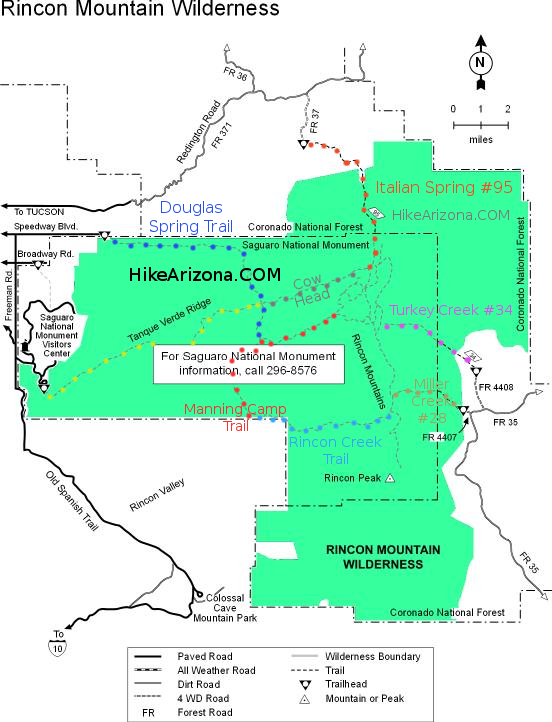 Part of this section of the trail is within the boundaries of the Rincon Mountain Wilderness. 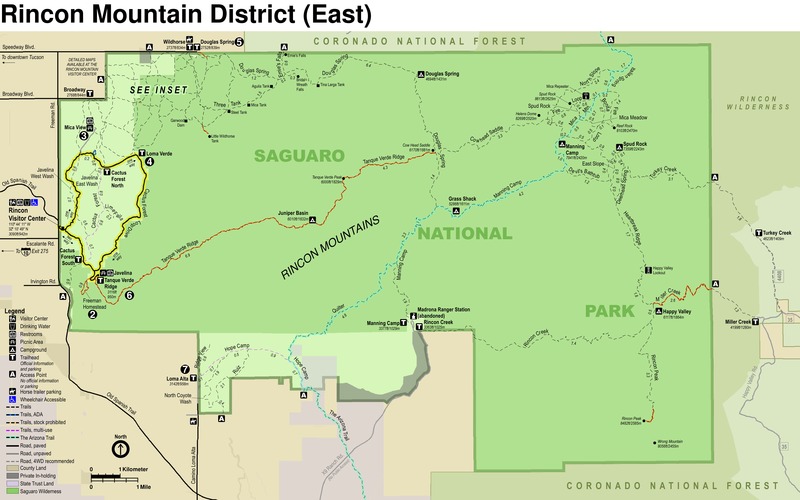 The landscape through which it passes is similar to that of the Saguaro National Park, dotted with large saguaros and other vegetation characteristic of the Sonoran Desert. Views stretch to Rincon Peak on the south and the Santa Catalinas to the north. Saguaro National Park restrictions: No hunting, weapons, pets or bicycles. Camping in designated areas only. Must have a wilderness permit which is available at the Park Visitor Center. Spud Rock - Outstanding point of bare rock in plain view from Tucson at north end of the Rincons, elevation 8,590 feet. About 24 miles east of Tucson. George F. Kitt of Tucson says: "Two Southern Pacific railroad engineers, William H. Barnett and Jim Miller, had a shack here and raised potatoes and cabbage on a little flat close to the rock. They called it Spud Rock for their major crop --spuds. Barnett fell from his horse one day coming down the trail and was killed." Drive east 39 miles from Tucson on Interstate 10 to the J-Six-Mescal road exit (#297). Turn north on the Mescal Road and continue 16.4 miles to FR 4408. Turn left and travel 0.4 mile through a gate to a parking area with large sycamore trees. 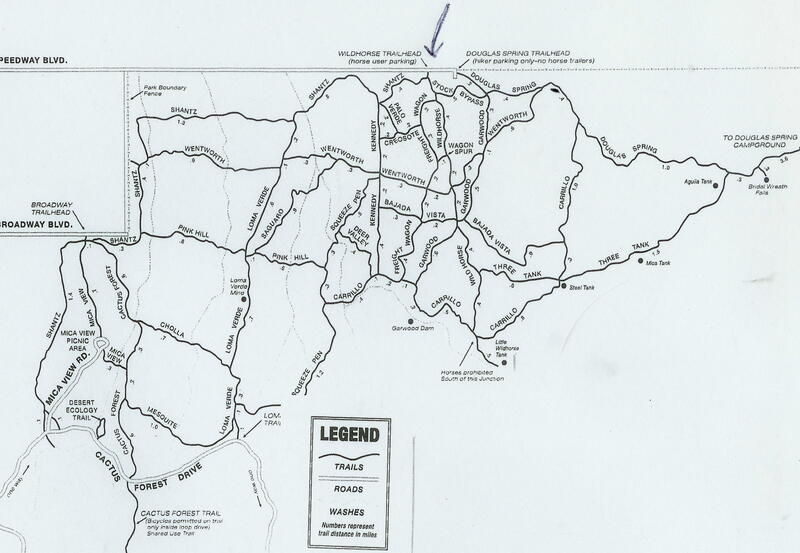 The trail starts on the opposite side of the creek and follows a 4-wheel drive road 1.5 miles to the single track.